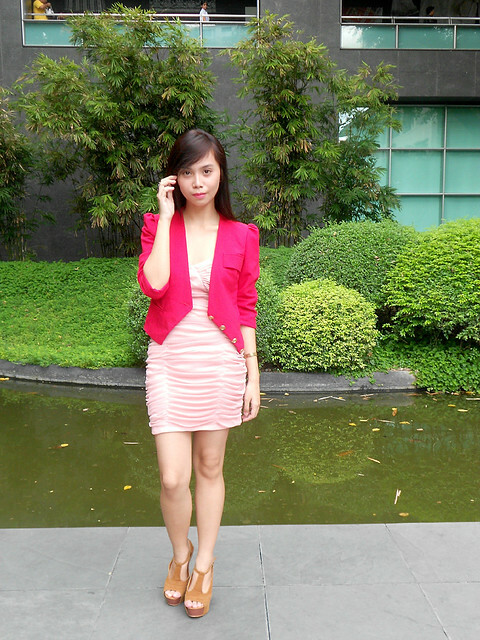 Attended the Zalora's Grand Launch last Wednesday and here's what I wore! :) I've been busy meeting a lot of deadlines lately, so I really didn't have too much time to think about my outfit. After minutes of staring blankly at my closet, here's what I came up with - my usual sweet and classy ensemble. With or without the blazer? Which is better, loveys? I'd love to know your thoughts! :) I'll be blogging about the Zalora's Grand Launch soon so stay tuned for that. A hug and a greeting for your mom too! Nava from TriNoma? If it is, I know the owner hihi! Literally "Pretty in Pink" :) Love the chic and dainty look, Arnie! @Kaye, haha! Thank you so much love! I like it with the blazer 'cause the colors go well together. You're so pretty! @Nyla, awww! ♥ Glad to know the colors went well! Hihi thaaank you! @Rovie, haha thanks babe!! :) YES PLEASE. Soon na soon! ooohh i super love your little pink dress!